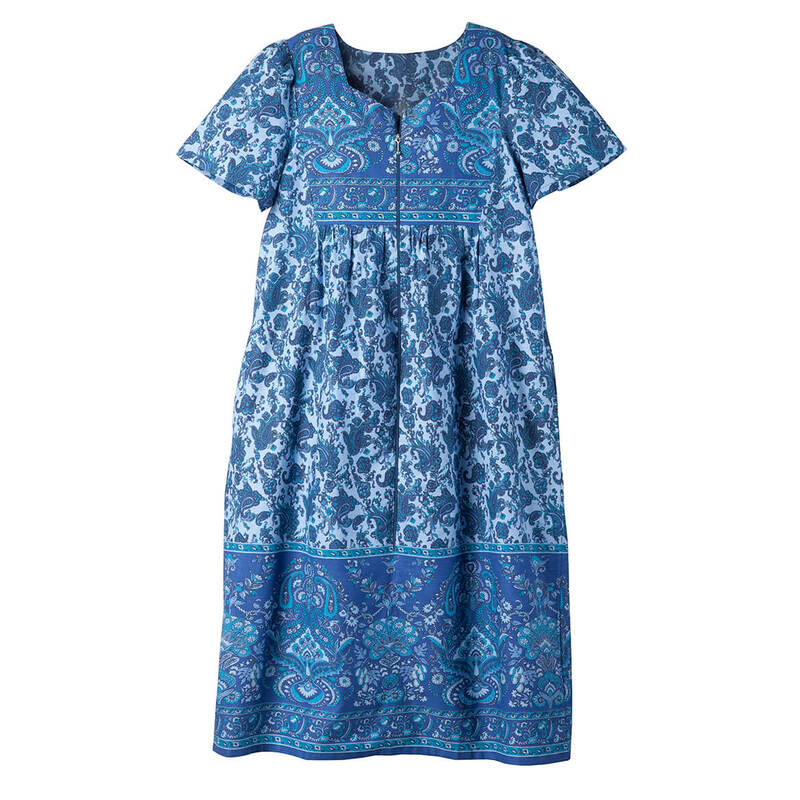 Love the color, love paisley, and it looks so cool and comfortable! Just had to have it! Looks cool and is 100% cotton . 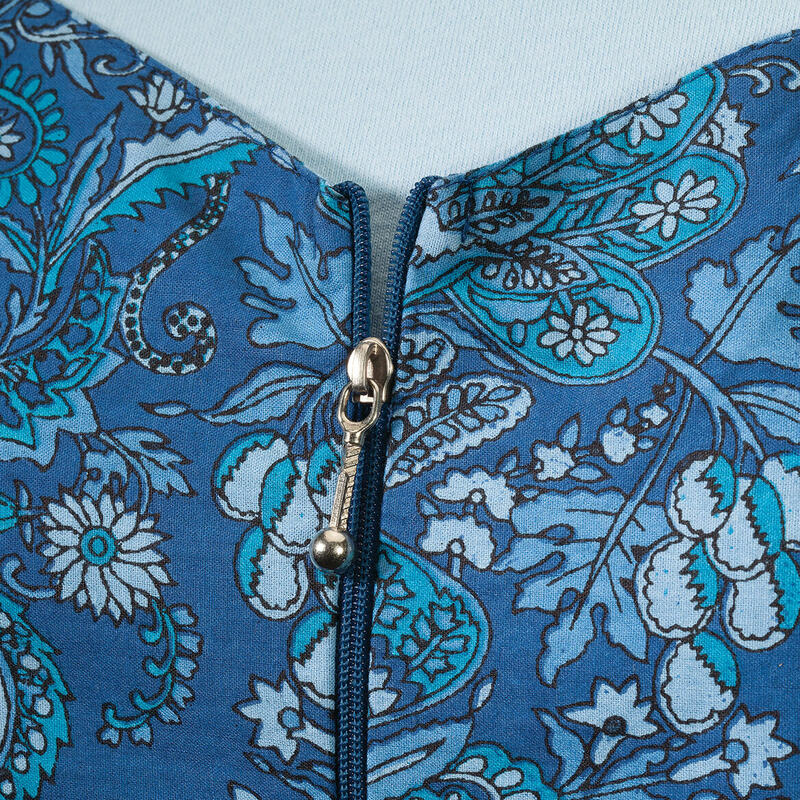 100% Cotton, pretty print and color. 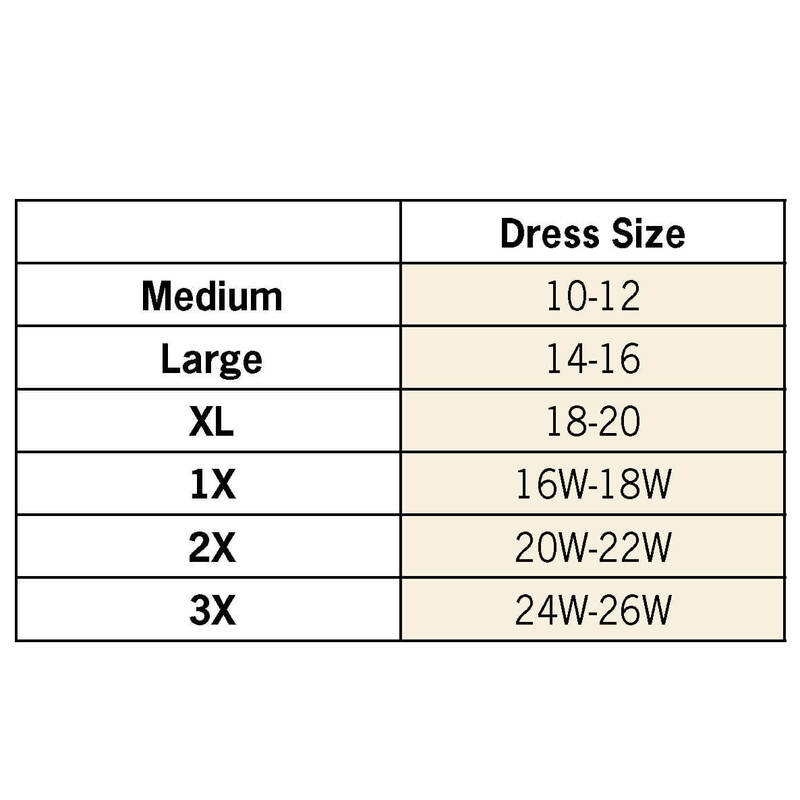 What is your lounger sizing chart? BEST ANSWER: Thank you for your question. The size chart is provided below the main photo. Click on the picture and it will enlarge it. We hope this information will be of help to you. BEST ANSWER: Thank you for your question. The large is 39 ¼” long and the X-large is 40 ¼” long. Those measurements were taken along the seam under the armpit. We hope this information will be of help to you.